Another beautiful sign of Spring, although you may have to look a little closer to find it! 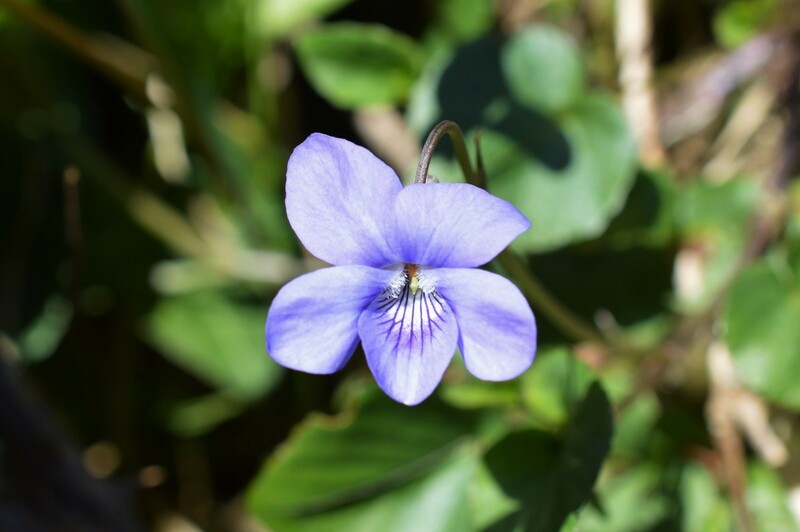 This week we’re going to be looking at the wonderful common dog-violet (Viola riviniana). 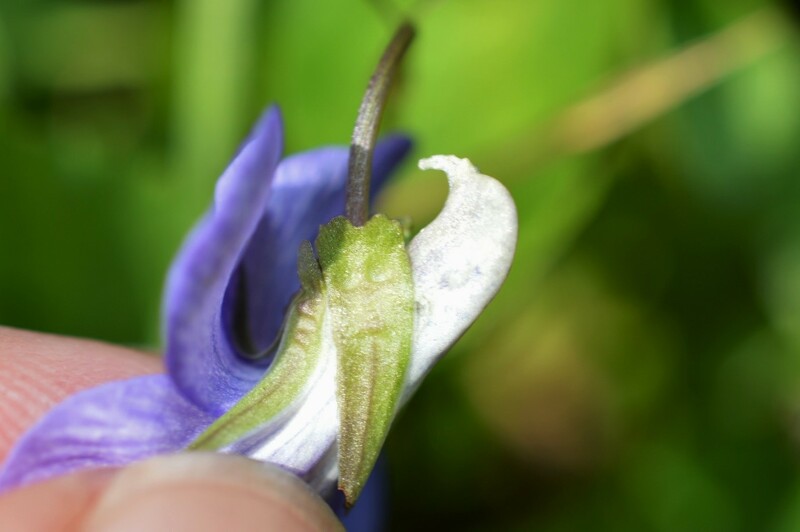 This species generally forms small clumps of dainty violet/blue/purple flowers. The flowers themselves are on slender drooping stalks, with five petals ranging from blue to purple in colour. The lower middle lip has dark veins which leads into the flower where the petal colour changes to white. 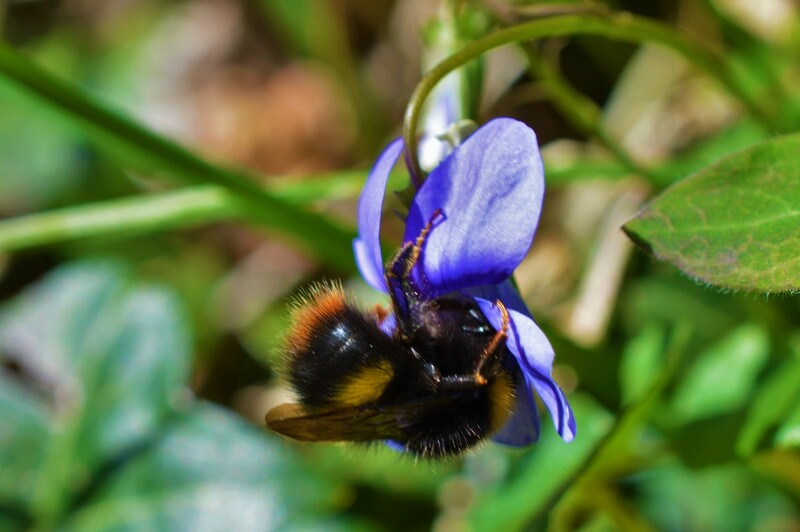 It’s thought that the veins on the lower lip help the plant get pollinated by bumblebees. 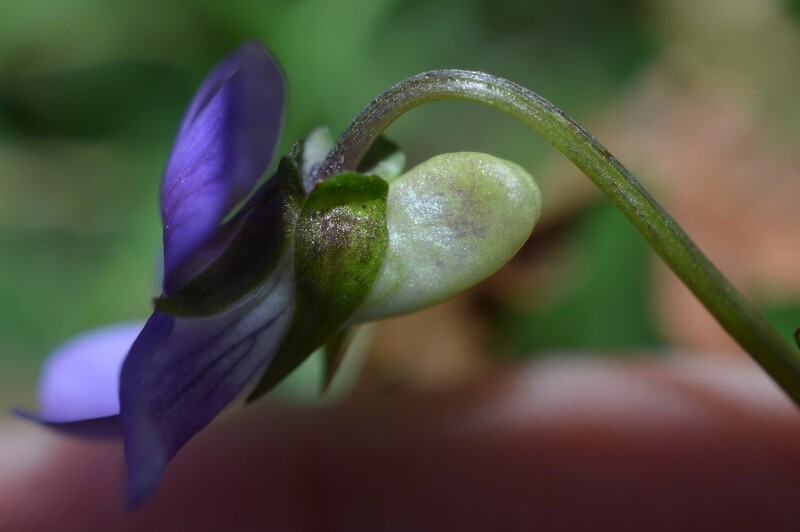 One of the most distinguishing features of common dog-violet is the notched, pale spur behind the petals. 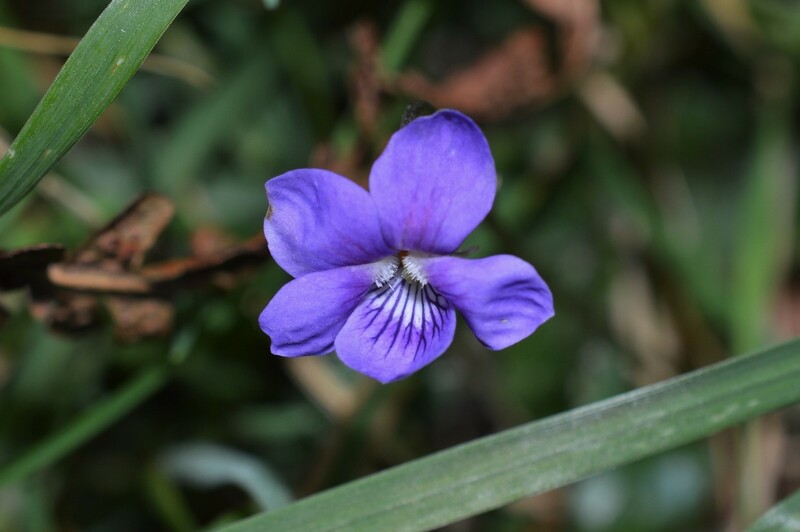 Its main confusion species early dog-violet (Viola reichenbachiana) has a dark purple spur behind the petals. However due to hybridisation and plants in general not sticking to the rulebooks the spur in common-dog violet can also sometimes be dark. Regardless, a notched, pale spur is still a decent identifying feature. The leaves of the species are heart-shaped with a toothed edge and glossy green in colour. As mentioned above you may have to do a little more searching for violets, but nothing ridiculous, they are common in woodlands and even hedgerows. Remember if you have any ideas for future posts or if you want help with identification you can ask me on Twitter @OshDuffy.